Every Tuesday First Chapter, First Paragraph/Intros is hosted by Vicky of I’d Rather Be at the Beach sharing the first paragraph or two of a book she’s reading or plans to read soon. My first paragraph this week is from The Ghost of the Mary Celeste by Valerie Martin, which is one of my latest acquisitions. The captain and his wife were asleep in each other’s arms. She, new to the watery world, slept lightly; her husband, seasoned and driven to exhaustion the last two days and nights by the perils of a gale that shipped sea after sea over the bow of his heavily loaded vessel, had plunged into a slumber as profound as the now tranquil ocean beneath him. As his wife turned in her sleep, wrapping her arms loosely about his waist and resting her cheek against the warm flesh of his shoulder, in some half-conscious chamber of her dreaming brain she heard the ship’s clock strike six bells. The cook would be stirring, the night watch rubbing their eyes and turning their noses towards the forecastle, testing the air for the first scent of their morning coffee. A ghost ship appears in the mist. To the struggling author Arthur Conan Doyle, it is an inspiration. To Violet Petra, the gifted American psychic, it is a cruel reminder. To the death-obsessed Victorian public, it is a fascinating distraction. And to one family, tied to the sea for generations, it is a tragedy. In salons and on rough seas, at séances and in the imagination of a genius, these stories converge in unexpected ways as the mystery of the ghost ship deepens. But will the sea yield its secrets, and to whom? 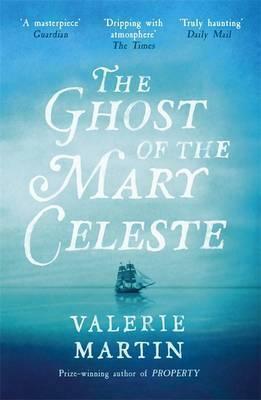 This is the Mary Celeste, so I know the basics – the ship was discovered adrift off the coast of Spain. Her cargo was intact and there was no sign of struggle, but the crew was gone. They were never found. I’m intrigued … what will this novel reveal? What do you think – would you read on? I’m very intrigued, Margaret! Those unsolved mysteries are fascinating, and I like the writing style, just from the snippet you shared. I’ll be keen to know what you think of it. Intriguing. I would keep reading. This week I am spotlighting Hooked on a Phoenix by Ashlyn Chase. Happy reading! I do like the introduction and would keep reading. The cover is gorgeous. I have never heard of this one, but I’m definitely intrigued. Going to see if my library has a copy – right now! Ha! Unsolved mysteries are always calling. I like that this one is so ancient. Sounds interesting and I like that Arthur Conan Doyle is a character. What a brilliant idea for a book. This enduring mystery is certainly compelling and I did like the writing style in the opening. I hope you enjoy your read. I love the cover and the intro. I’d keep reading! I like the intro, and what a great cover! Love real life mysteries, so this a a must for me.